The SUNY Buffalo State Art Conservation Department recently made two new faculty appointments. Rebecca Ploeger, of Ottawa, Ontario, was hired as assistant professor in conservation science, and associate professor Aaron N. Shugar now occupies the endowed Andrew W. Mellon professorship in conservation science, which is funded through a generous endowment from the New York-based Mellon Foundation. Ploeger, who completed a research fellowship at the National Gallery of Art in Washington, D.C., holds a master’s degree in engineering chemistry from Queens University in Kingston, Canada, and a doctorate in chemical sciences from the University of Torino, Italy. 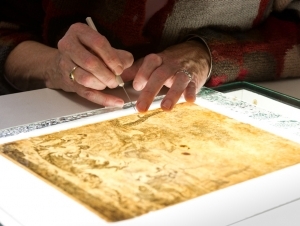 In her most recent research at the National Gallery of Art, Ploeger completed a project to develop a more suitable consolidating adhesive for the conservation of paintings and polychrome objects. Her research interests are "the characterization and stability of modern artists’ and conservation materials." Ploeger teaches the conservation science course on organic and polymeric materials found in art and cultural heritage objects and a course in preventive conservation. Along with working at the National Gallery of Art, Ploeger completed post-doctoral research at the University Of Torino’s Department of Chemistry and at Shad Valley International, Queens University. "We feel fortunate to welcome a faculty member of Rebecca's caliber to our department,” said Patrick Ravines, associate professor and director of art conservation. "Her expertise and her experience working with a number of esteemed institutions will be a boon to our students." 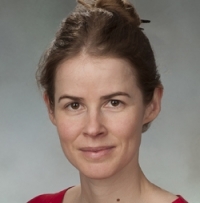 In his Andrew W. Mellon professorship, Shugar replaces Corina Rogge, who left Buffalo State last year. Shugar joined the department in January 2006 as a conservation scientist focusing on the inorganic materials found in historic and artistic works. He teaches the conservation science courses on the inorganic materials in art and conservation and one on microscopy applied to cultural heritage. Previously, Shugar worked as a visiting scientist at the Smithsonian Museum Conservation Institute and as co-director of the Archaeometallurgy Laboratory at Lehigh University. In addition to his appointment at Buffalo State, Shugar serves as a guest scientist at the National Institute for Standards and Technology and is a member of the graduate faculty at the University of Toronto.